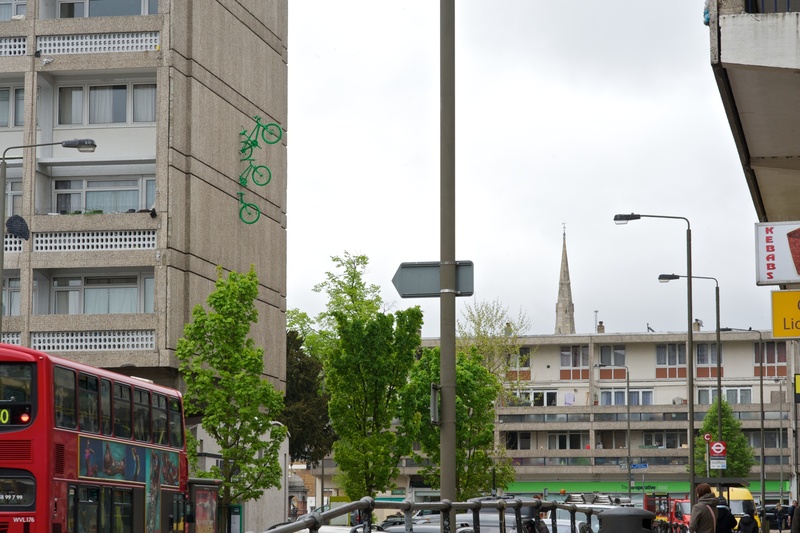 Green Horses on the Wall developed from an installation project called Performance Parking (or, how to park your bike so it doesn’t get nicked! 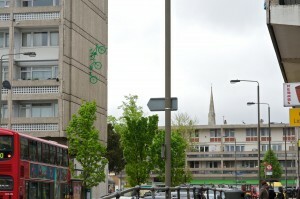 ), which was commissioned for the Alton Estate, by Wandsworth Arts Festival in 2011, as part of a larger Bicycle Ballet project. 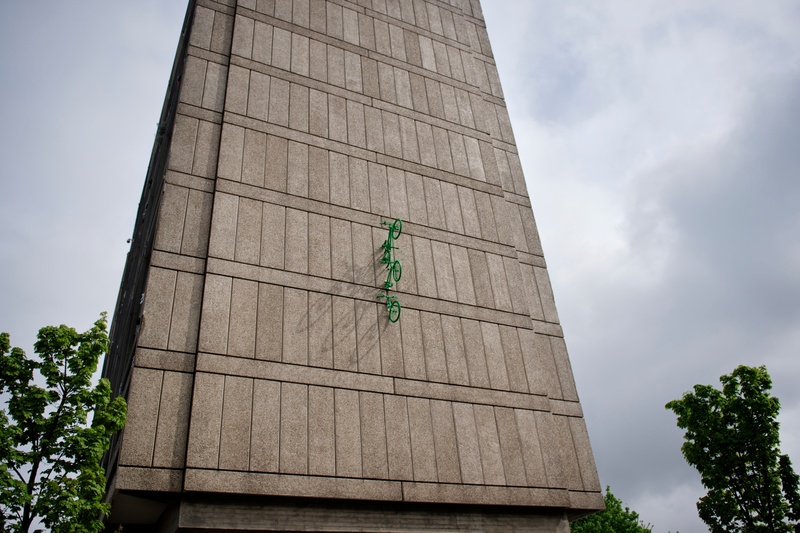 Watching the first bikes being installed above Roehampton Library, a local resident came up laughing that the installations reminded him of a saying in his country, Romania, ‘Green horses on the wall.’ When you see green horses on the wall, you’re dreaming of incredible or impossible ideas as in ‘a pipe dream’ or ‘when pigs might fly’. 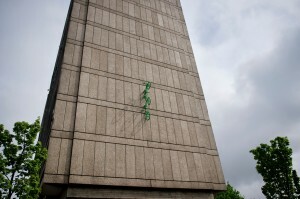 The 2012 project will embrace this wonderful notion, with more impossible and improbable, recycled installations around the estate.